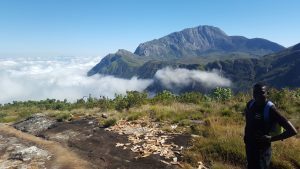 One of the most spectacular experiences Malawi offers is to climb the majestic Mount Mulanje, known in chichewa as ‘chilumba mu mlengalenga’ (the island in the sky), in this mystical place it is believed that all life is controlled by spirits who live in the trees of Mount Mulanje. With it’s highest peak sitting just over 3000 meters and 19 smaller peaks to explore, Mount Mulanje is vast. Many huts are spread across the Massif and whilst basic, they offer all that is needed for weary travelers looking to prepare a hot meal and enjoy a good nights sleep. 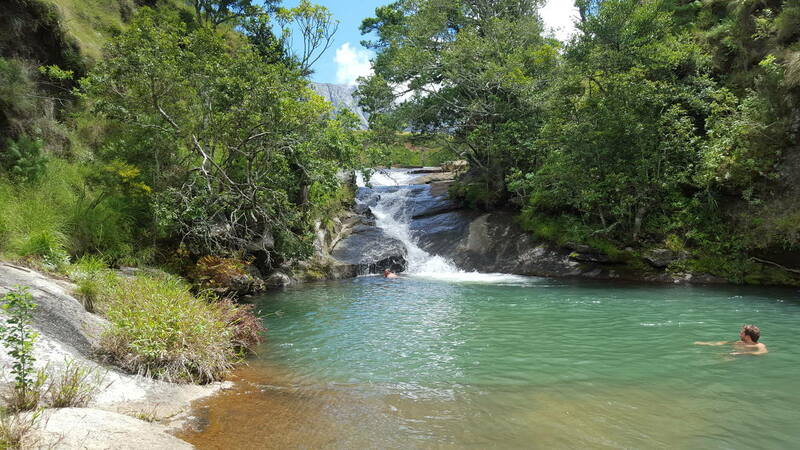 Anyone to venture up its slopes will be rewarded with the most spectacular views, waterfalls & mountain streams so fresh and clean you can not only swim but also fill your water bottle . Traversing through the different eco systems of this 130 million year old granite massif (650 sq/km) offers a great variety of routes & huts where one could easily explore for over a week and still not unturn every stone. 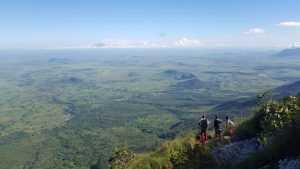 Whilst Mount Mulanje is the most popular destination for climbers in Malawi, it is by no means at all the only location worth trekking. 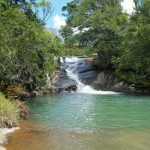 Be it the climbing to waterfalls on Zomba Plateau, a kayak & trek trip along the shores of Lake Malawi or crossing Nyika national park on foot. There is no shortage of untouched gems where you’ll find yourself truly at one with the African wilderness. 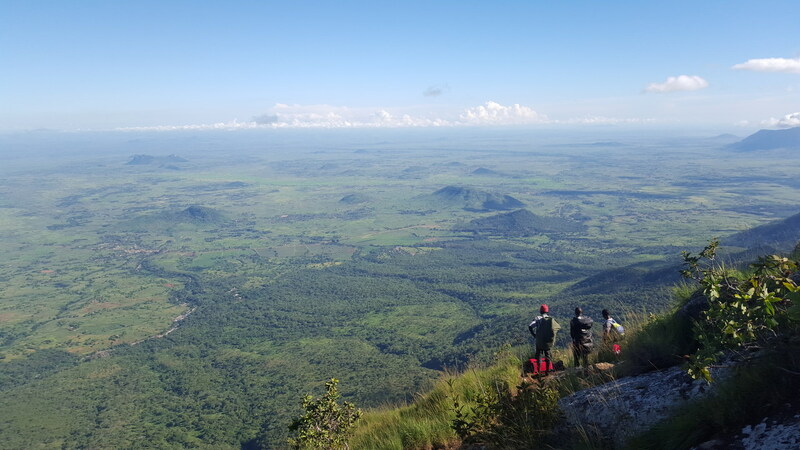 Whether it’s a part of a larger trip or a weekend away, our all inclusive trekking packages mean that you don’t need to worry about preparing meals after a hard days climbing or about where to stay or how to get there. All you need to do is bring your walking shoes and your camera and let the adventure begin.